Cell phone users are inundated with detailed articles about cell phone security. Techies provide complicated methods to protect against hackers. What about the less savvy? I’ve prepared for you some tips to protect your phone. Millions of people lose their phones every year, with most of them being stolen. In 2014, 2.1 million cell phones were reported stolen. The person who finds your phone can access your information, including name, address, and account information on everything from your bank to Instagram. When you are out in public, keep your phone accessible but out of the way of thieves and pickpockets. Use a screen lock for your phone. Choices include fingerprint ID, password, pattern lock, PIN, and facial recognition. If your phone is lost or stolen, the person trying to get into your phone will have a much harder time if it’s protected. Tracking apps are used by users for various reasons including locating family members, especially children. However, they are also important if your phone goes missing. There are many apps that will allow you to do both. Be sure to test it before you need it to find a lost phone. Free Wi-Fi is tempting to users addicted to their phones. However, the services are not secure and can leave you vulnerable to users waiting to steal your information. If you need to use free Wi-Fi, limit what you use while connected to the service. Avoid logging in to any important accounts such as your bank or credit card. When you are finished with whatever you’re doing, log off. Cafes and airports offer Wi-Fi that is generally safe, but take precautions all the same. Never log in to an unknown open network. Random texts asking you to click on a link are always suspect. They can allow hackers to access your information or install viruses or malware on your phone. If you receive a random text (too often with a “too good to be true” offer), do not reply. Delete it immediately. You can also use an app to trace unknown callers on your iPhone. Kids use cell phones more than grown-ups and should be aware of how to protect their phones – and themselves. Teach phone safety as soon as your child gets his first phone. 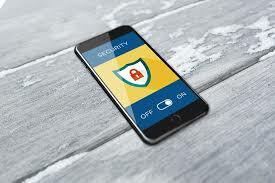 Many phones are equipped with apps to prevent viruses and the installation of spyware and malware. As a result, many users feel safe and forget that the apps need to be updated on a regular basis. New software is released every day, and an outdated phone may not be able to detect and prevent hacking and viruses. Phone updates should be routinely installed to ensure that bugs have been fixed and protections are engaged. Following these simple tips will help users to stay safe and enjoy their phones as they were meant to be enjoyed.